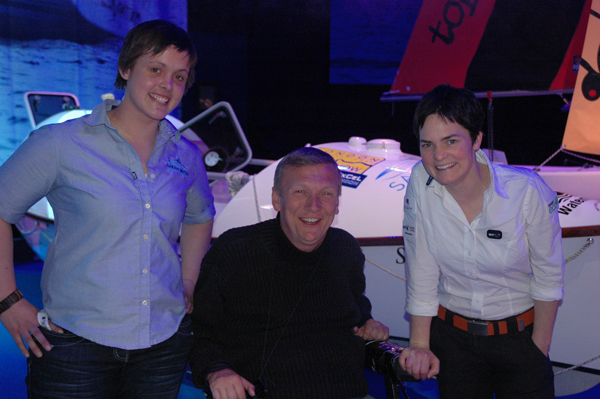 So, so lovely to be with you today at the BOATSHOW. Daddy would be sooooooo proud of you. You’re more than a Sugar Plum, you are the best daughter any Mum could ever wish for. It was lovely to meet with some of the faces of people who have supported and given you advice…..even if “”it is all Sally’s fault””…Ricardo too. What a lovely guy. Say “hello ” to him at the weekend….and Timmy if he comes. Hope you get some more sponsors.